We're offering a New Artist / Entertainer Package for individuals in New York City trying to get a fresh start in the game and need a little assistance. 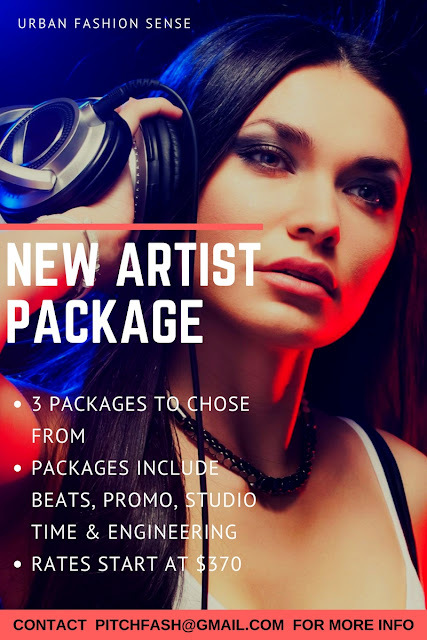 Choose from 3 packages.... All packages include beats (for rental), studio recording / engineering time and social media promo. Email PITCHFASH@GMAIL.COM to discuss packages and/or other PR/Media opportunities. Payment via PayPal. Watch Carlovy Musicc's Friend Zone Movie. Information is very informative also you get same from nexter.org, this is the great resource to get such type of information about hot news. THANKS FOR VISITING URBAN FASHION SENSE!